We made it to Friday! Woohoo!!! Even though I had a vacation day on Monday, this sure was a long week. I think the weather has a lot to do with it. It was so nice last weekend, and this week it has been rain, rain, rain. I never even got to take a walk this week, well I did once, in the rain, to get my Starbucks. You know how important my coffee is to me. Funny, I discovered coffee in my early 30’s and I have been addicted to it since then, but the addiction got worse when my Husband bought me the Keurig Coffee maker for Christmas a couple of years ago. I just love-making my lattes. So whats for breakfast today? Well I am not sure what is for my breakfast, but I can tell you what I ate last week and let me tell you I am very proud of it! 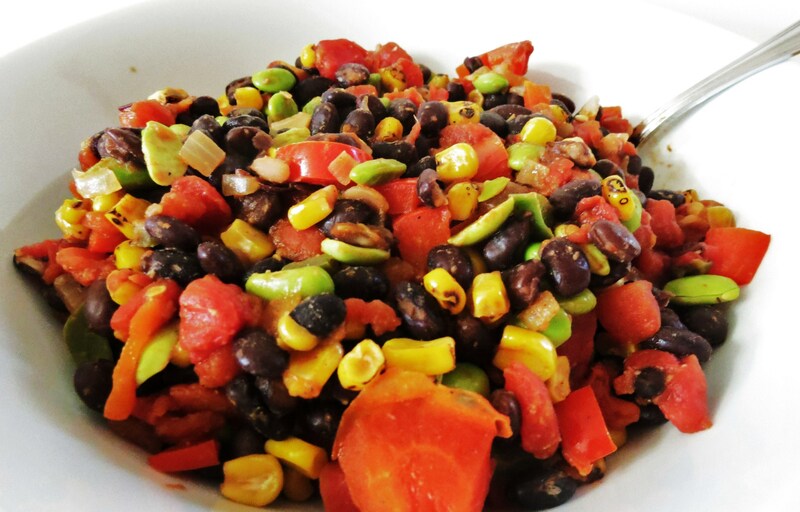 Remember when I made my Mexican Black Bean Salad? Well I had a ton of it leftover and I couldn’t let it go to waste. I used it in my tacos, topped it on nacho’s, ate it as a side dish and made this beautiful creation. Don’t mind the pink reflection, it’s my bathrobe. Remind me not wear it when I take pictures. 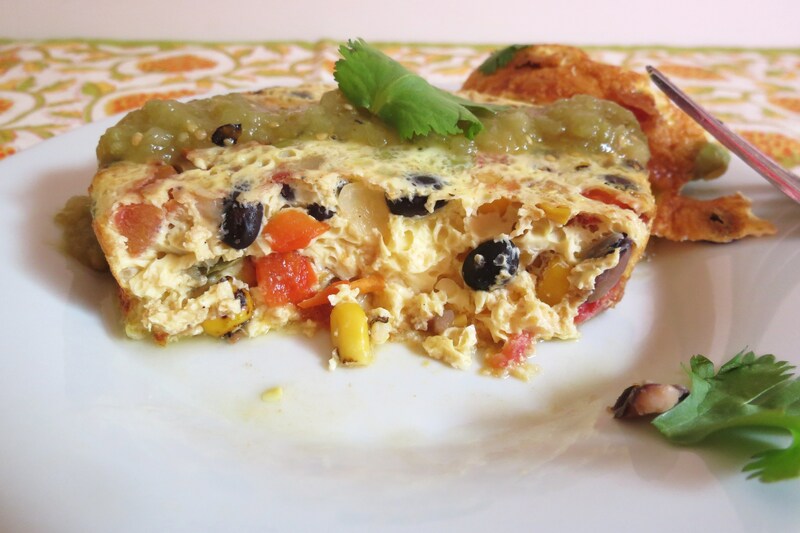 But anyway, making the salad for this Mexican Black Bean Fritatta is so worth it. I used the last bit of my salad to make this frittata and I am so disappointed that I am out of it. I have to make it again and soon. 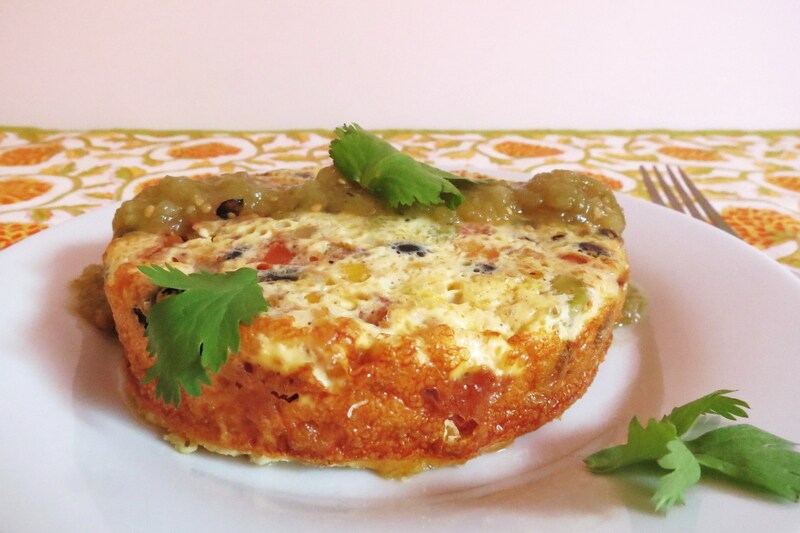 When you see the inside of the Fritatta you’ll understand why. Just look at the goodness. It is chock full of beans, corn, peppers, onions and more. It is simply an amazing little dish. I also drizzled a little bit of Trader Joe’s Salsa Verde on top. Mexican food is not complete without salsa. Wouldn’t you agree? This dish is so easy to make and honestly, you can make it practically with any veggies you like. 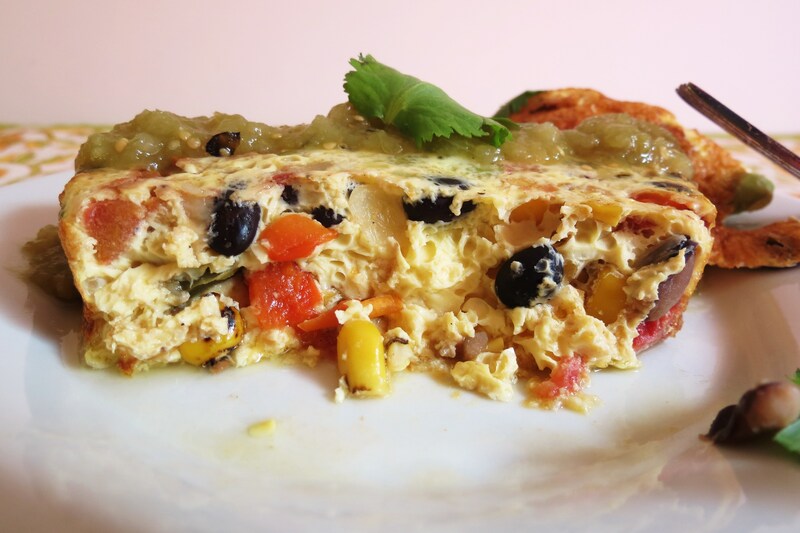 Add Mexican Black Bean Salad into prepared baking dish. Pour egg mixture over beans. Did you notice all of the protein in this dish? This really filled me up, and it’s super healthy! I have really grown to love black beans. If you ask anyone a year ago I thought they were gross and because they were high calories, I wouldn’t even give them a chance. How silly am I? There so nutritious for you, full of protein and fiber, plus it’s a good carb! But every-time I think of beans I think of the old song “Beans, beans the magical fruit, the more you eat the more you toot, the more you toot the better you feel, so eat your beans at every meal”. Lol, I sure know how to give myself a chuckle. I am so geeky!!! But I bet your singing it now? Here’s a picture of it right out of the oven. I just flipped it over and I had a beautiful bean topping! So what are your plans for the weekend? I’m hoping to plant some vegetables in the garden and maybe hitting up my Farmers Market, I think the one near me opens this weekend. Crossing my fingers. Thats about it for my exciting weekend. So tell me what do you have planned? Are there any good movies out? Have a great weekend!!! 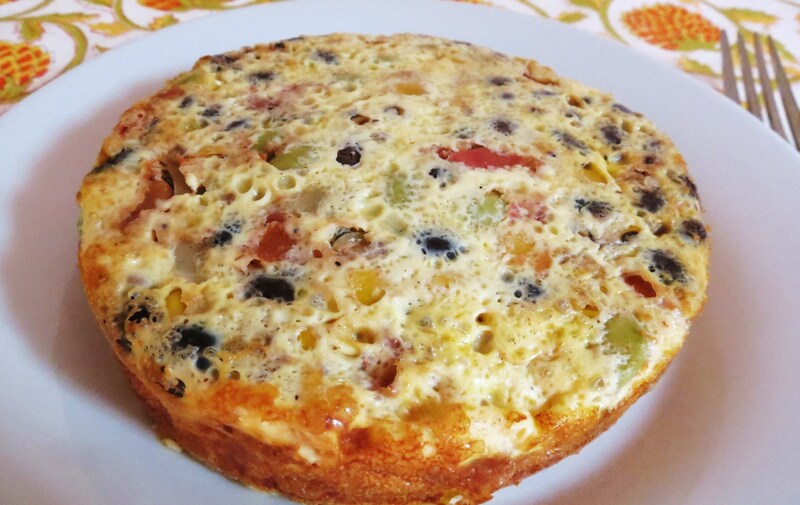 Now make sure you make some Mexican Black Bean Salad so you can make this yummy Frittata, you will love it!!! With all this talk and it’s dinner time, I’m thinking I want to go Mexican. It’s my favorite! I think I could eat it everyday. Don’t forget to enter my Trader Joe’s Giveaway, only a couple of days left! Jenn, I see you’re up to something delicious again! This looks simply amazing, love all those wonderful veggies! Wooohooo! We made it to friday. This would make for a perfect breakfast over the weekend. Can’t wait to give it a try. The weather definitely plays a huge part in affecting my mood and and my mood plays a huge part in affecting how fast time seems to fly lol. It’s been a long week for me too. :/ But now it’s over!! 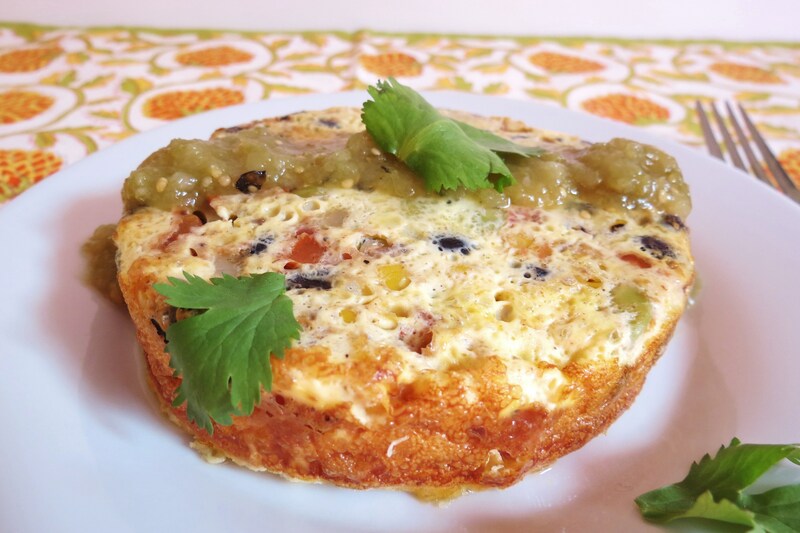 This frittata sounds fabulous! I’m always a fan of getting tex-mex flavors in a healthy way! Jen this looks great! This would be a perfect after workout meal. Thanks for sharing! (can’t wait for your TJ winners)!!! This looks absolutely delicious! Cannot wait to try it out. I was JUST telling my husband and kids last night how I want to start making frittatas. Thanks for this recipe! Your welcome! 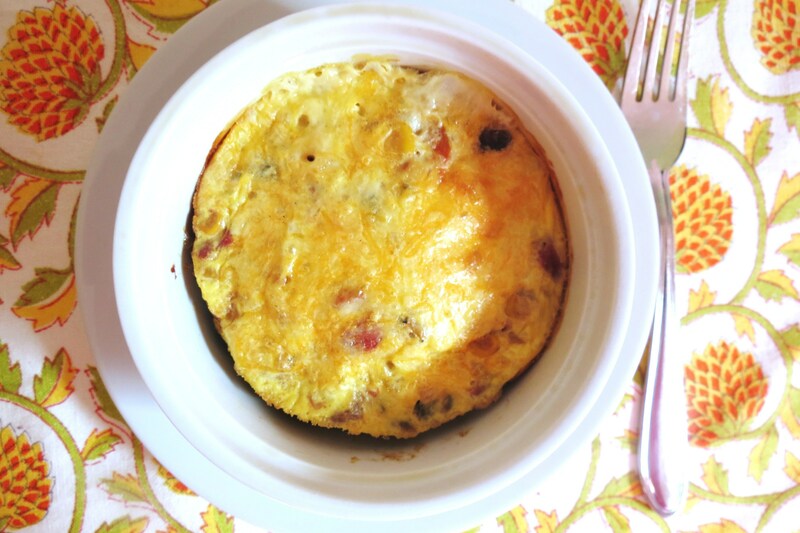 I love Frittata’s, there so easy to through together and you can use almost anything in it! It’s such a versatile dish! That looks SO delicious. I keep saying I need to make a frittata soon. Beans are a good idea in there! Hi Katie, I think this dish would be fine without cheese in it. I’d skip the cheese if you are not a fan!